Hello, my name Is Peter Walsh, and with my wife Bridget, we returned to Galway with our three children in 1968. After two years working as foreman for builders in Dublin and Galway, we started our own building business in 1970 here in Galway. Bridget and our daughter Christine take care of all the office work and are in constant contact with all our suppliers and sub-contractors. We wish to say a special thanks to all our Suppliers and their helpful staff and also our Sub-contractors for their co-operation, skill, care and attention to detail, which guarantee the Top Quality Homes that we produce. Many thanks to one and all. Our Sons, Timothy and Tony, finished serving their carpentry apprenticeship with us in 1983 and then went away to get wider experience. 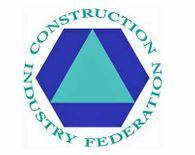 They gained a vast range of experience in the building industry in those nine years. Timothy is now Contracts Manager with us. "No Better Man" action is the name of our game and we don't hang about, we get on with the job. We build with concrete blocks in all walls and generally all concrete construction. We complete the normal bungalow in about ten weeks. This depends on the weather and how complicated the site may be. Last, but not least, we operate the best possible Quality Control System from start to finish with every home. Part of this is personal involvement and supervision. We aim to satisfy you, our customer, the first time, on time, every time, safely. It would be hard to visualise a job more valuable to Galway than that performed by Mr. Peter Walsh of "The Pines", Ballybane, Galway. He builds top quality, low-cost homes that can readily be made to grow with the family, its members and its income. Peter Walsh is a man of many qualities, most of which are aimed at housing and the development of his skill as a builder. Imagine a boy whose search for perfection in joinery and carpentry led to him seeking and getting a key of his own for Galway Technical School at Fr. Griffin Road, Galway, so that he could go in and study on his own on nights when there was no one studying those subjects. Imagine a boy so dedicated that he twice took first place in craft competition with the pick of Europe's craftsmen and came first in competition with the best of the British Empire. That is Peter Walsh and now he can look with pride on the awards for those achievements, a cup presented to him personally in the Royal Palace of Madrid by General Franco, a remarkably large medallion presented to him in Modena, Italy by the President of Italy and a medal presented to him in the City and Guilds Hall in London by Prince Philip in the presence of the Lord Mayor and the representatives of many of the British Commonwealth countries. Since his formal schooling in his craft, he has worked in England, Wales and Australia as well as here in Ireland, but in all his work he sought a higher degree of craftsmanship, an approach towards a perfection that he knows to be unattainable if only for the reason that his building work has to be done within financial limits. That is what he has been seeking to achieve since his return from Australia, a quality built home at a price well below the Galway average. He has come up with the extendable home which he builds to his own design on a site provided by the Client. Mr. Walsh describes it as a "very special type of house". The formula provides that they can begin with a small house at a very keen price and then it can be extended at any time, without interference with the structural design or the comfort of the occupants. Son of Garda Sergeant and Mrs. Martin Walsh of Moycullen, they moved home to 11 St. Enda's Road, Shantalla. Peter Walsh was born in Galway in 1939. He received his primary education in Moycullen and Scoil Fhursa, Galway and St. Brendan's, Woodquay, and after that he went to Technical School in Fr. continuing his woodwork studies there under Mr. Michael O'Connor and Mr.
of Europe's young and to the success for which General Franco personally honoured him.Senior competition against Europe's top craftsmen in building construction and allied trades followed and again he took the top award,this time in Modena, Italy. After completing his apprenticeship with Mr. Tom Higgins of Fairhill, he went to England and moved from job to job, seeking higher skills in building construction. He also attended night classes in technical schools. It was out of this search for perfection that he came to do the City and Guilds examination, open to British Commonwealth and to win the top award. But his life in England was not all work. He took time off for relaxation, which included dancing. Once, catching the eye of a girl across a crowded room, he nodded his invitation to a dance and she accepted Three months later they both said "I Do" and Miss Bridget Carr of Wexford became Mrs Peter Walsh. She is now his "right-hand-man" in Peter Walsh Construction and his wife's contribution to their building enterprise adds a woman's touch. Next stop Australia. In five and a half of the next six years he was a self employed man in house building and construction work. The money was good but Peter Walsh has been learning more than the higher skills of his craft; he learned among other things that money isn't everything, that more important than money was doing Something that gave satisfaction and doing it in a pleasant environment. To him that meant Ireland. And so he returned, knowing there was a place for him there, for as he says "its not where one is that makes things happen, but what one puts into what one is doing". Now, outside his home where there are two sons and a daughter, his work is his life, lived today with the enthusiasm that sent him, in his technical school days, in search of craft perfection. Peter represented Ireland in the International Trade Competitions in 1957 and 1959. He won 1st place against England, Spain, Belgium, Germany, Switzerland, Italy and Portugal - Twice - in Madrid, Spain & Modena, Italy. We designed four new homes for you ...all competitively priced. Easily extended to a larger home at a later date. Our prices include as standard, many special features. We build to the highest standards, and comply with all building regulations, with the Department of the Environment outline specification and the National Housing Building Insurance requirements, i.e. 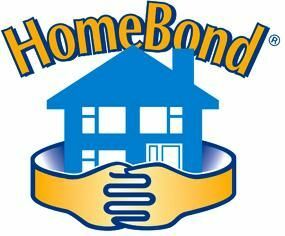 "HomeBond", 10 Year Structural Insurance and 5 Year Mechanical and Electrical Insurance. To start with, our high tensile steel reinforced concrete raft foundation provides the most effective barrier to the entry of radon gas into the home. Radon is a natural radioactive gas that has no taste, smell or colour. This raft method is recommended by the Swedish Council for Building Research as a radon barrier, in addition we install a radon sump in every house with provision for one future vent pipe and we also install a reinforced radon barrier. On this raft we build with concrete blocks and mortar in the twin external walls with insulation in the cavity, and we build the internal walls with concrete blocks also. We also insulate the floors and ceilings to reduce heat loss and to provide a warm home for you. maintained, and will prove to be the best investment you will ever make! established our construction business in 1970. In our travels and since returning home we've had a vast amount of experience, which we are continually applying to the improvement of the quality and standard of every home we build. We have built many homes in Galway and our satisfied clients are evidence of the top quality and service that we offer. We have exhibited at the Ideal Homes in Galway for many years and also in Boston, Massachusetts, USA, and we are more than pleased with our sales to Irish people returning home. Every home we build is given personal supervision to ensure the high standards and top quality for which Peter Walsh Construction is noted. As part of our service - for an additional charge - we will apply for planning permission for your new home on your site. In 1957, a young joiner from Galway travelled to Spain to compete in WorldSkills, an international competition which aims to raise the profile and recognition of skills development and highlight their role in personal success and economic growth. Peter Walsh was just 18 when he travelled to Madrid: the only Irish team member to take gold at the junior event that year, he had to make a step ladder from scratch to win. Then he had to learn to how say “Enchanted to meet you” so he could receive his trophy from General Franco. 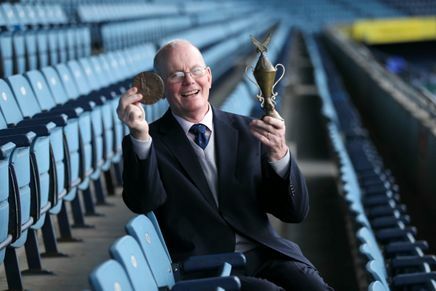 The 77-year-old, who still works up to 70 hours a week and says he has no intention of retiring, helped mark the 60th anniversary of Ireland’s involvement in WorldSkills at the closing ceremony of the 2017 Irish competition in Dublin’s Croke Park. More than 140 craftspeople from all over Ireland took part in the 22 events, which were held early in order to select a national team for participation at the WorldSkills competition in Abu Dhabi next October. The Construction Industry Federation ...C.I.F. 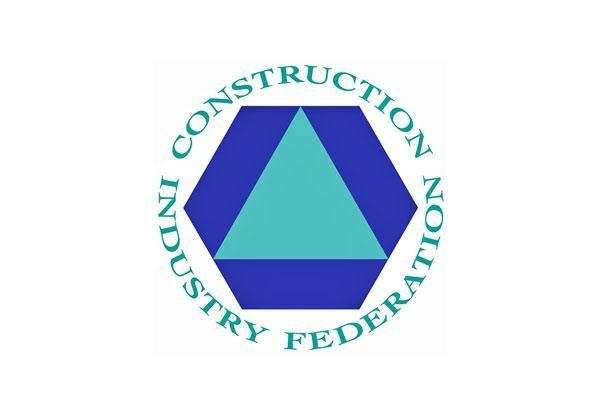 The Irish House Builders Association ...I.H.B.A.